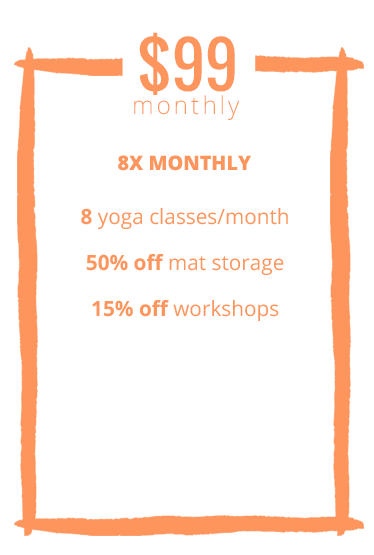 Monthly memberships are a six month commitment that can be cancelled or paused with just 30 days notice. For more information see our Membership FAQs below. 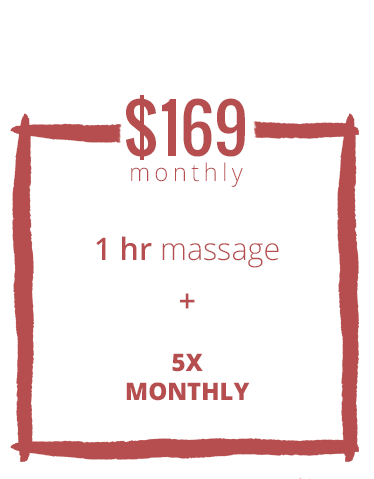 By adding a monthly massage or private yoga session to your membership, you get one on one support to deepen your practice. Is there a commitment to sign up for the membership? Yes. There is a minimum of a six month commitment for all memberships. After six months, there is a 30-day notice required for cancellations. What if I want to cancel before the six months are over? If you wish to cancel your membership, fill out the form HERE. Please note, there is a $100 cancellation fee if you cancel during your six-month initial commitment. 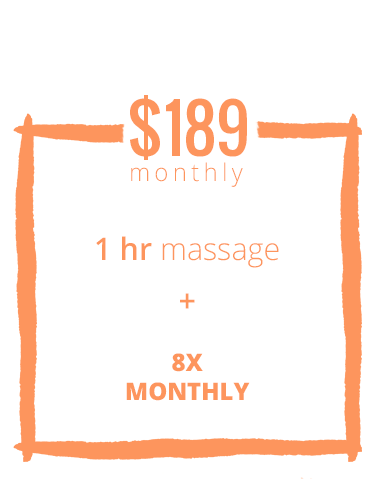 Monthly massage memberships are a 12-month commitment. Those who cancel early will be charged the difference between the full cost ($125) and the membership cost ($99) for the services they received. Are the memberships paid monthly? 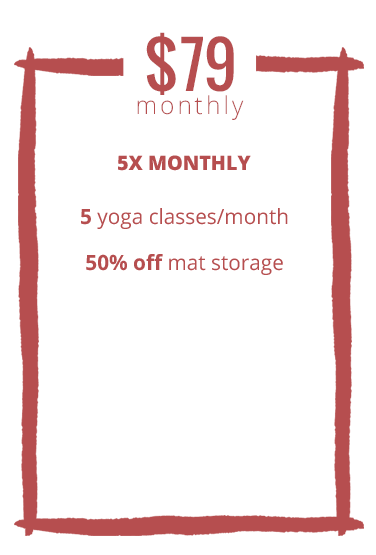 Yes, all memberships will renew monthly until you tell us otherwise! Am I able to change my membership? Yes, all three of these memberships can be changed. If you are on the 5x a month or 8x a month you are able to upgrade to the next level at any time, even during the current month. If you are on the Unlimited you are able to drop down to the next level with 30 days notice for this change. There are no refunds for dropping to the next level. There is no extra charge to change your membership other than the price difference between the two memberships. Can I change my membership to a different tier for just one month? Yes, the memberships can be changed according to your needs and according to the guidelines above. Email notification required. How much in advance do I need to notify you to cancel my membership? You must fill out this form HERE a minimum of 30 days prior to the date of cancellation. This will ensure that we have a record of your requesting the termination, and you will receive a confirmation after we have canceled the auto-pay. If I cannot use my classes can I roll over the classes to the next month? Classes cannot be added to the next month, but can still be used in the same billing cycle. Am I able to put my membership on hold? You can put your membership on hold with two weeks notice. Fill out the form HERE to place the hold. You can put your membership on hold for a maximum of two months at a time. I don't want to have a recurring charge. What are my options? 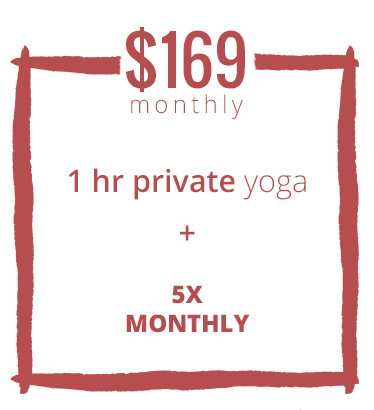 The intention behind our membership pricing is to make frequent practice as financially accessible as possible. This is why our membership pricing is as low as it is and why we ask for your commitment. 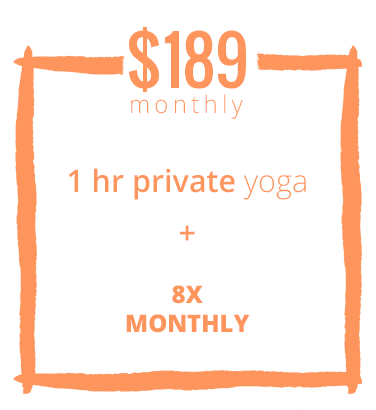 If this does not suit your needs, you can purchase a single class, or a 10- or 30-class card. Do you have student discounts or other discounts? We will no longer be offering student or other discounts for our classes. For students and others who do not want to sign on for memberships and cannot afford our other rates; we have at least one $10 class daily.